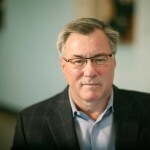 Eric Sprott: Central Planners Desperate To Keep Game Going - Wall St. for Main St.Wall St. for Main St.
Jason Burack of Wall St for Main St had on returning guest, former top hedge fund manager and chairman of the Sprott group of companies http://www.sprott.com/, Eric Sprott. During this 25+ minute interview Jason asks Eric about his expert opinion on many important topics including interest rates and financial repression, what’s really going on in the US economy, Bitgold, production costs for gold and silver miners, and a review of the fundamentals of the gold and silver market. Eric thinks anything can be manipulated now for awhile in markets and no major liquidations are allowed anymore. Jason also asks Eric if he thinks China wants the SDR or if China plans to destroy the SDR from the inside? Eric thinks China is only temporarily joining the SDR and eventually wants the world reserve currency itself.